At the end of the day, all wedding vendors are important. They’re the dream team behind your perfect day. But the photographers, well, they’re like 🙌🙌🙌. A good wedding photographer might as well be a celebrity. Really. And one of the biggest pieces of advice we can give about finding that shutterbug that best suits your vibe is 1) to do your research - find a photographer that has glowing recommendations on one of your favorite wedding sites - we can help you there 😉 👉 photographers we love and great client testimonials from past brides and grooms 2) to do your due diligence - reach out to the vendor and see how you gel via your correspondence, if you have chemistry over the phone or email, you’ll probs have a 🔥 connection in person too and it’s up to you to make sure you’re communicating effectively with your future photog 3) stalk the crap out of their social channels - you might just see a photo on their feed that completely rocks your soul, and afterwards you’ll need to have them for your day - no ifs, ands, or buts. So before we get into some pros that we’ve been falling hard for these days, we wanted to do a fun little this or that game just to get you in the spirit of the sport (yes, wedding photography is a sport - champions are made every day). Now, keep in mind, these are just our opinions. You can agree, disagree, prefer something else, by alllll means, you do you. Just thought a speed round would be sassy and informative. Black and white photos can be SO GOOD, but we suggest just having a few b&w edits for your wedding photos. They’re statement pieces - and should be used in moderation. You live your life in color, so your album and all the photos from your big day should be colorful too. You’ll want to remember the exact shade of your #somethingblue, the hues of the florals in your bouquet, how stunningly green your eyes were when you had your lashes on, etc. Of course, we know there’s gotta be a few portraits - it’s a wedding after all - but we’re more about the candid shots than the posed pics. It’s not prom. We love photojournalistic approaches and seeing the bride, groom, bridal party and guests looking real - not stiff - and having the best day ever. 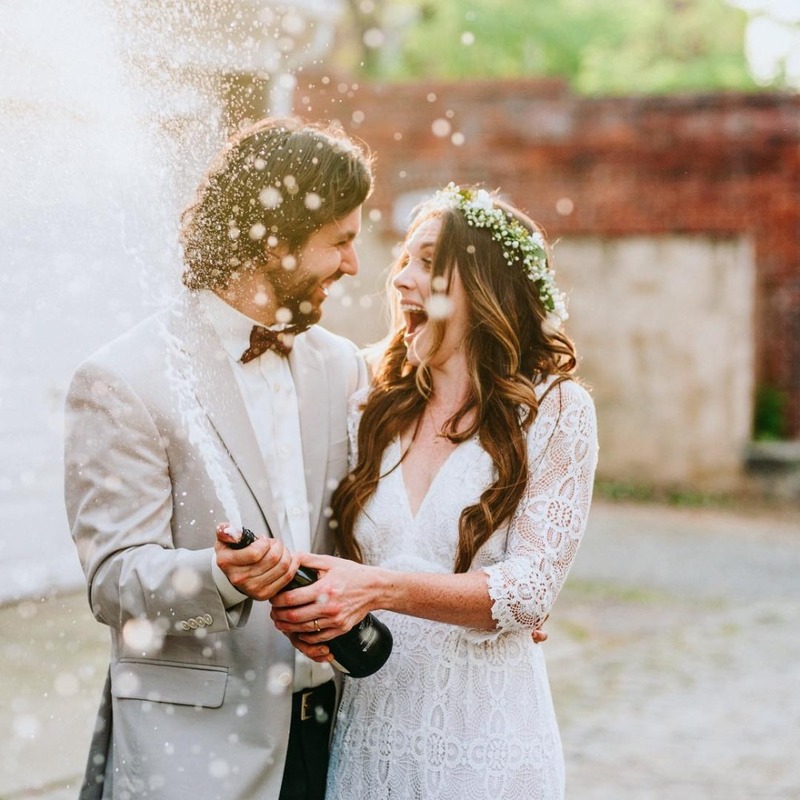 So, yes to popping champagne and letting the effervescent bubbles explode all over the photo. Yes to shots of the groom and his guys putting on their shades and having a whisky toast. YAAAAS to fine art film shots that focus on the wedding details and do so in a muted way that is so dramatic and dreamy. This is a real question? Kisses. Always. A good photographer can capture you and your new wife or husband lip locked and lovey dovey in the best way. And to be able to look back on your wedding day and remember those exact moments, when you kissed as a married couple for the first time is major. Post-proposal pics or engagement photos? AKA you just got that ring on your finger, and you’ve still got tears in your eyes - right after the proposal. This doesn’t necessarily have to be one or the other. You can have both! But we’re bigger fans of the prompted and planned for engagement photos. You can pick your outfit, vet your vibe, choose a locale that your photographer has shot at before and be calmer overall. You’ll still be amped over your engagement, but you’ll have time to let the pixie dust settle and lean into your new fiancé roles. And if you do engagement photos, you'll have a great gauge for what your wedding photo situation will be.